[New for 2018] I am shocked at how long I've managed to hold off on trying this free sample. 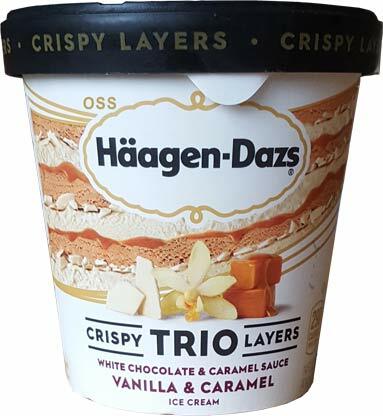 I'm a big fan of Haagen-Dazs and I do appreciate the novelty of the Trio lineup. I would definitely pick up a Trio over a Magnum pint if for nothing more than the quality of the ice cream. 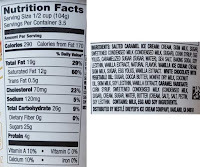 Magnum might have a little more chocolate pop and #funfactor to go with it, but Trio is a better quality product. If you prefer a much lighter ice cream as the backdrop of your chocolate layers, hey, that's your choice, but this is what I prefer. Yeah, this happened. I was trying to get the ice cream out without ruining the container and I realized "hey, this works for a picture". 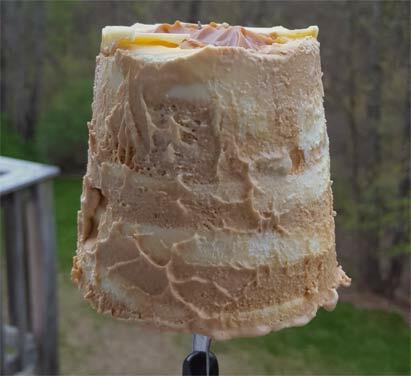 Ok, I may have also eaten it this way which admittedly isn't the best idea considering the fact that that is a steak knife you see jammed in to this ice cream. That said, it was pretty fun eating it this way (but if you try this at home, please use something without a sharp point on it [no I did not hurt myself thankfully). Ofcourse this made a good first impression. The Haagen-Dazs caramel is absolutely top notch and it was great getting a big glob of it to start. 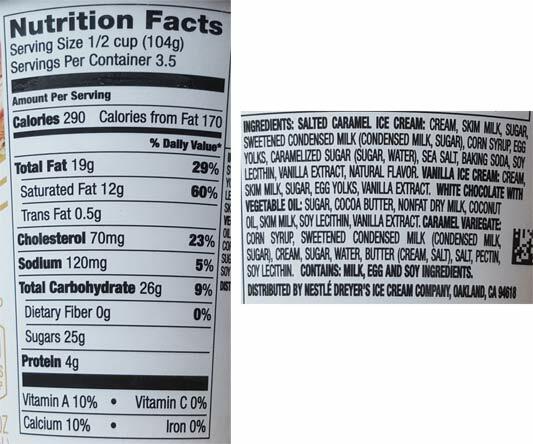 The white chocolate is nice but it doesn't beat your tastebuds over the head like the white chocolate Magnum pint. The magnum was way too sweet while this could probably use a little flavor boost. I'm not saying I need it sweeter, I'm just saying that it had a little trouble standing out flavor wise. What else? Will "nom nom nom" do? Both this crazy scooping and some eating straight from the pint a day or two later were both very tasty. It's the quality I expected and it's the quality I got. On Second Scoop: I dug in to this two more times and both times were enjoyable. It's nice to take a break from the craziness of the freezer aisle and dig in to a nice quality pint sometimes. The white chocolate swirl isn't going to wow those looking for a wow factor, but this is still really good. 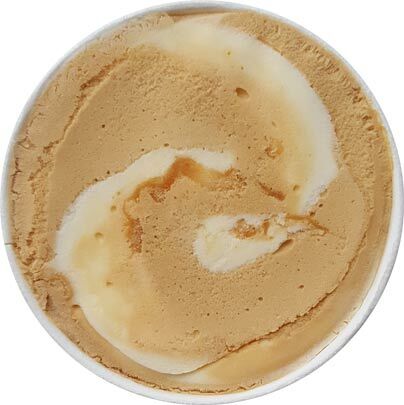 Don't go looking for the swirls, just go in to this expecting a really good caramel flavor and you should be pleased. 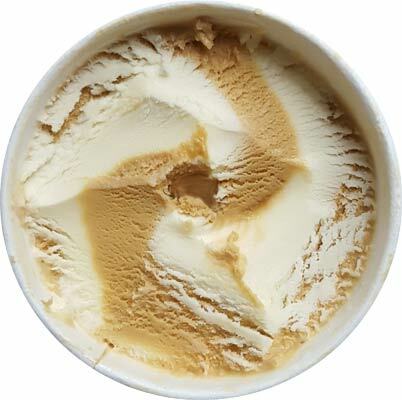 I just picked up this pint over the weekend, so excited you reviewed it! We've talked about the Trio vs Magnum line before, and you know I'm a big basket of Magnum in this battle. But I did try the lemon raspberry white chocolate a while back, and is a giant step forward for the trio line.